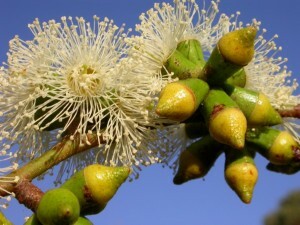 Michael Doherty will be leading an information-packed tree walk. 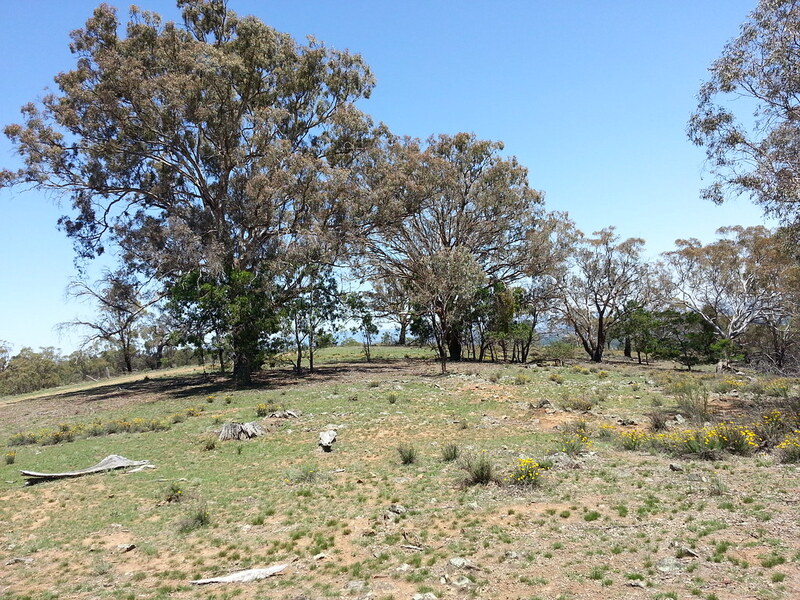 Join ecologist Michael Doherty for an information-packed walk on the slopes of Mount Majura and Mount Ainslie on Sunday 25 June. Learn how to identify local woodland trees, see where they occur and hear how they survive fire and drought. When: Sunday 25th June, from 2pm to 4pm. Tree guides will be available at the walk. 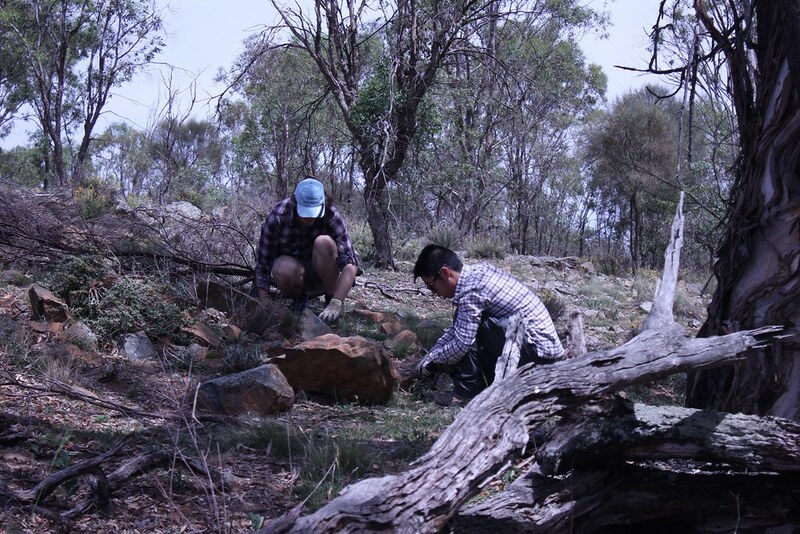 Gold coin donations are welcome to support Friends of Mt Majura conservation work. 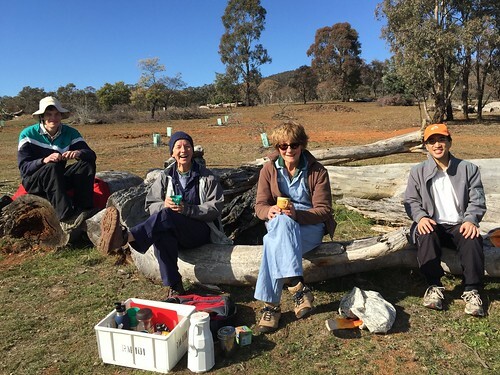 The walk is hosted by the Friends of Mount Majura ParkCare group. 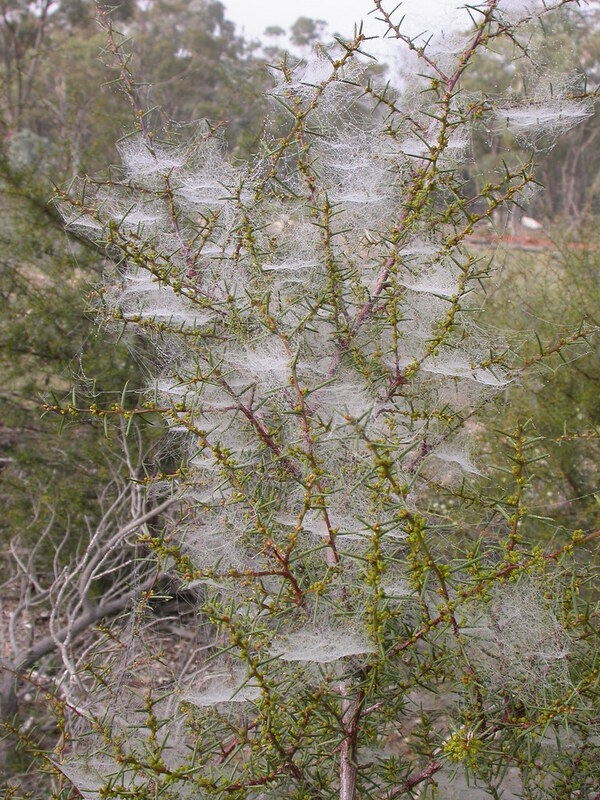 Early Wattle, Acacia genistifolia wrapped in spider webs on a winter morning (W.Pix). 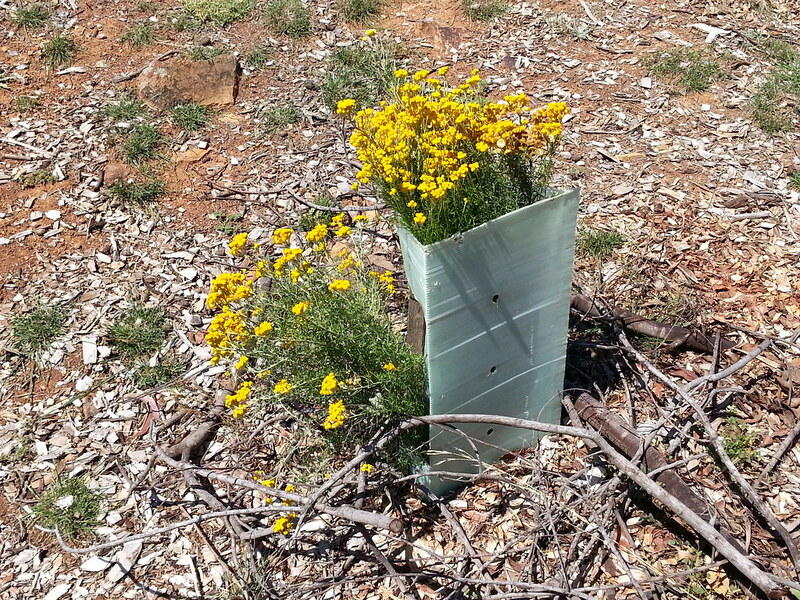 The wattle is a key habitat species planted at The Fair. 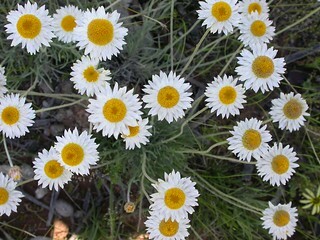 Give native plants a head start! Come and help preparing National Tree Day 2017. When: Sunday, 16 July, 1-4pm; give as little or as much time as you want. 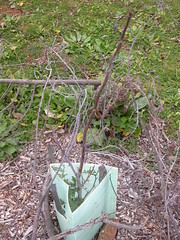 What: Preparation for National Tree Day 2017. Bring: Sun protection, long sleeves and pants; garden gloves if you have them. Tools and hot drinks will be provided. 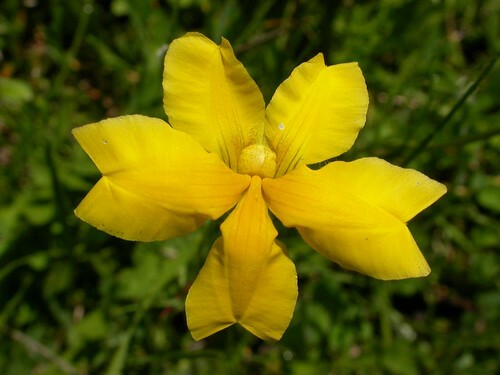 Assisted regeneration of native diversity. About planting at The Fair. 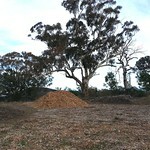 The site adjacent to the The Fair is one of the four modified and heavily degraded areas in the nature reserve where the Friends of Mt Majura (FoMM) run long term projects to reclaim and improve grassy woodland (other sites are the old sheep camp at Majura ridge, Majura paddock east of Rivett Street and the associated drainage line at the lower Hackett water tank, and a cleared section of the west slope). 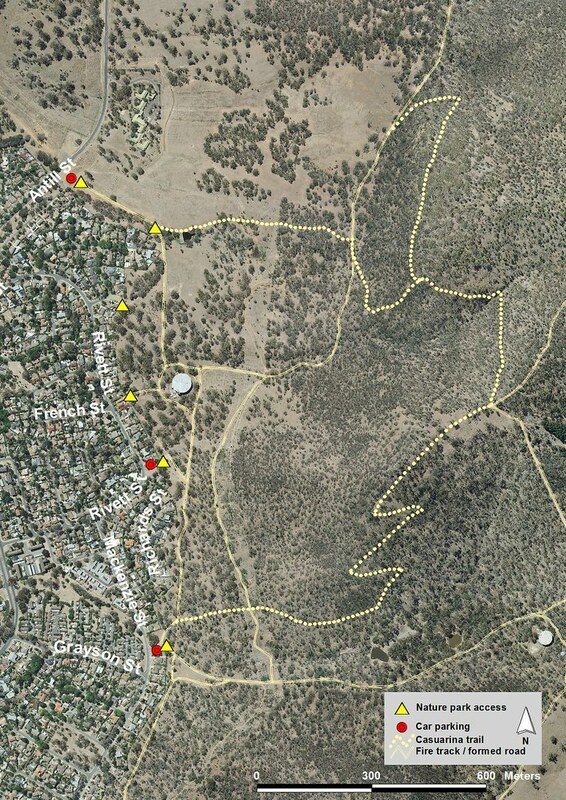 These sites have in common that much of the original vegetation was cleared and replaced by weeds. In addition ongoing overgrazing prevents natural regeneration which in turn benefits the weeds. 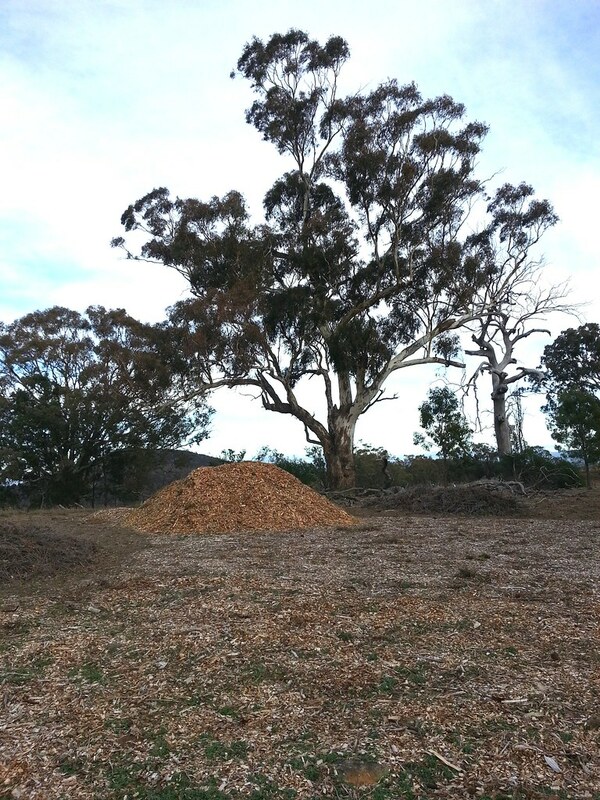 Other issues are the loss of the surface crust that holds the top soil together, compaction of soil, and erosion and loss of topsoil which affects the ability of plants to establish. 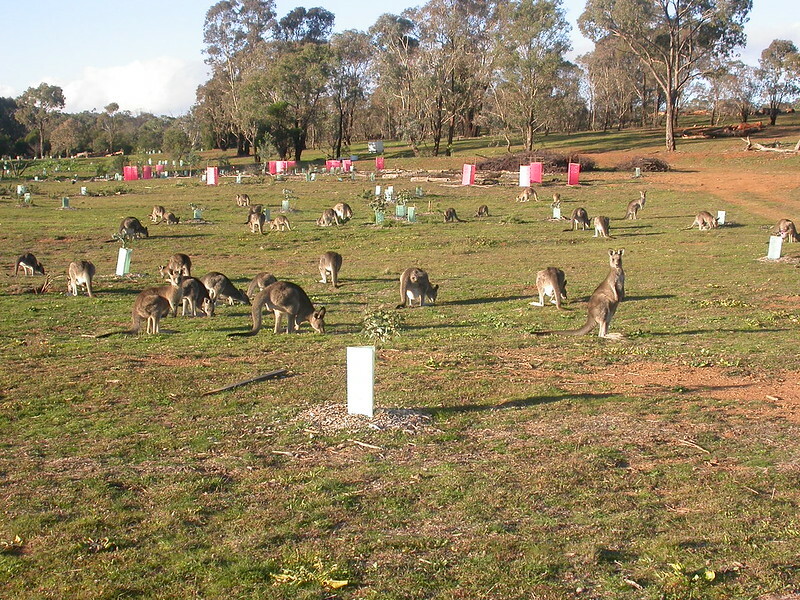 As with all FoMM projects, work at The Fair began with an initial assessment in 2011/12, taking into account present introduced and native plants, the impact of rabbit and kangaroo grazing, the soil condition such as compaction, large bare areas, active erosion, and the lack of structural habitat elements such as fallen trees and logs. 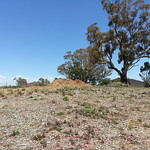 We started treatment of weeds in 2012 at the least weed infested southern part of The Fair project site, removed large Briar Roses in the tree cleared area and conducted a mass planting on National Tree Day. 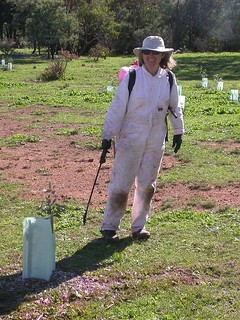 Work continued in the past years and included collecting seeds of native ground cover plants on Mt Majura and direct seeding, tube stock planting of native shrubs and grassland forbs on National Tree Days, measures to protect the plantings against grazing damage, help with rabbit control and the reintroduction of structural habitat, many hours of weed control, and monitoring weeds, rabbits, signs of natural regeneration and the progress of assisted re-vegetation, and work to improve the compacted soil and control erosion. 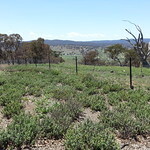 A great challenge is to replace woody and herbaceous weeds with local native plants under the present grazing pressure without compromising ecological values of the area such as wildlife habitat. 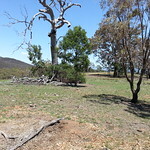 For instance Hawthorn, Briar Rose and other woody weeds that replaced the native shrubs in the area provided shelter for little woodland birds however on the other hand the weeds prevented native vegetation to re-establish and thrive. 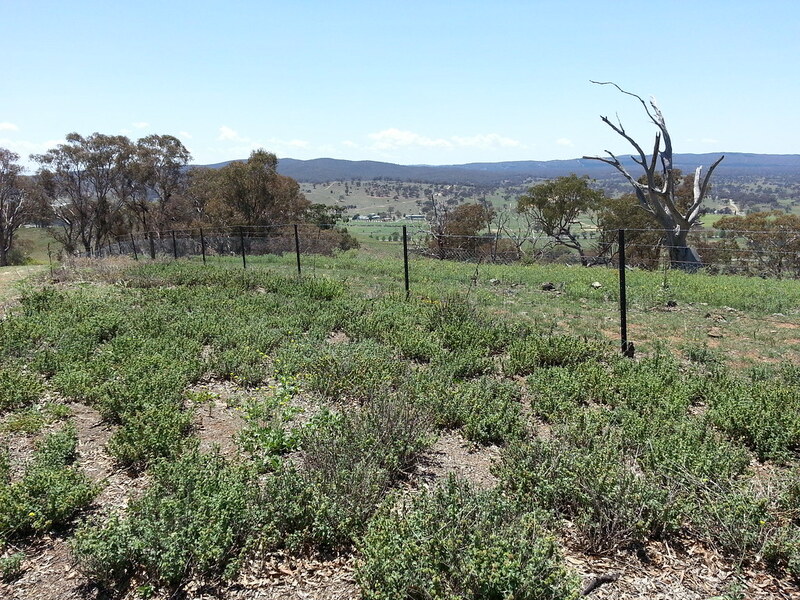 Our solution was to plant local native shrubs that provide the similar habitat value in a staged process, superseding and accompanying the removal of these woody weeds. 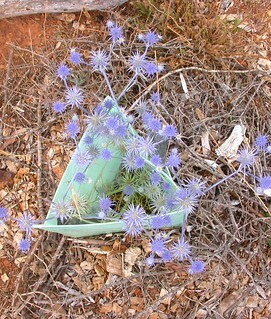 Seeds of many grassy woodland species do not persist in the soil seed bank and are unable to re-establish without assistance once they are lost from the standing vegetation through clearing, weed competition and overgrazing. 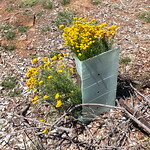 We planted, and continue to plant, clumps of native understorey species at strategic sites and hope that the seeds of these “living seed banks” will spread out and one day will take-over sites which are currently weed infested. 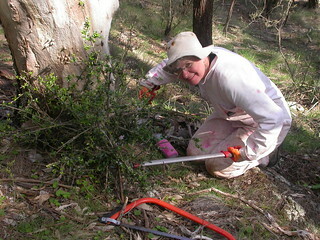 The staged process of weed removal, assisted re-vegetation (tube stock planting and direct seeding) and protecting the plantings from being grazed is a much valued contribution of volunteers, and supported by the Canberra Ornithologists Group and the authorities charged with the management of conservation areas in the ACT such as the Mt Majura nature reserve. 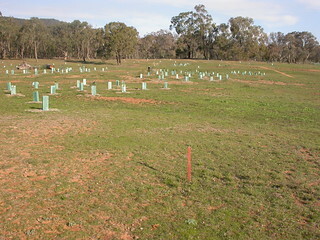 The re-establishment of diversity improves the integrity of the grassy woodland and the drainage lines. 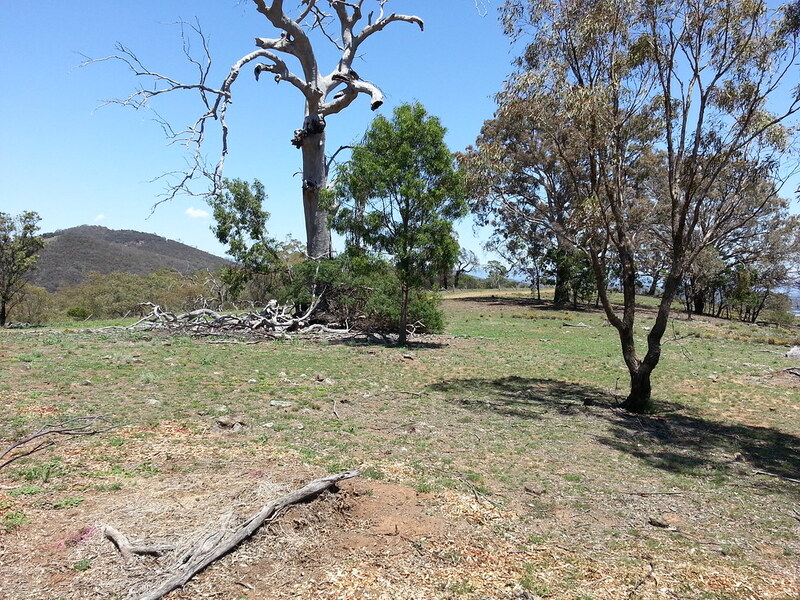 It is a long term process and hard work and it is only sustainable if Government backs up our efforts and manages the grazing pressure that detrimentally impacts upon the grassy woodland and the native species within this endangered ecological community. Establishing native plants under heavy grazing pressure is a challenge @ The Fair. 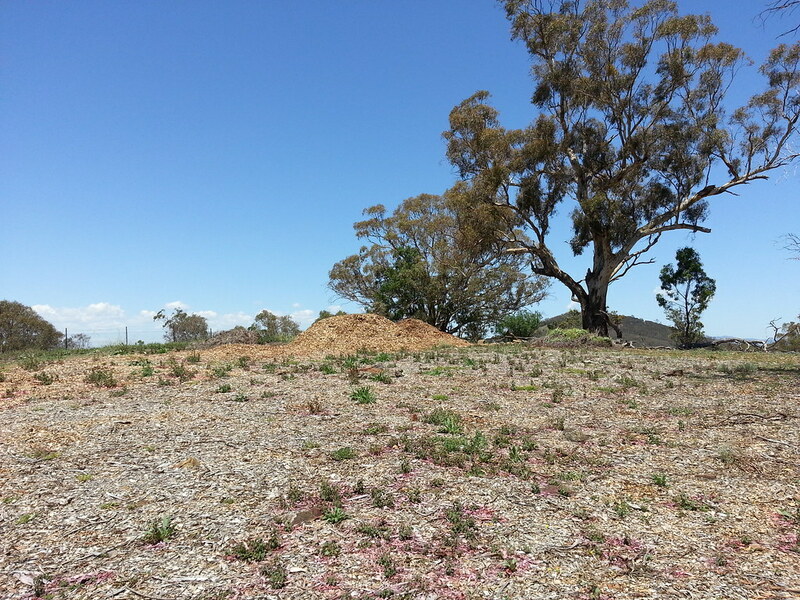 Native grass fails to flower and set seeds and will be replaced by introduced species if overgrazing continues at the current rate (W. Pix 28.04.2014). 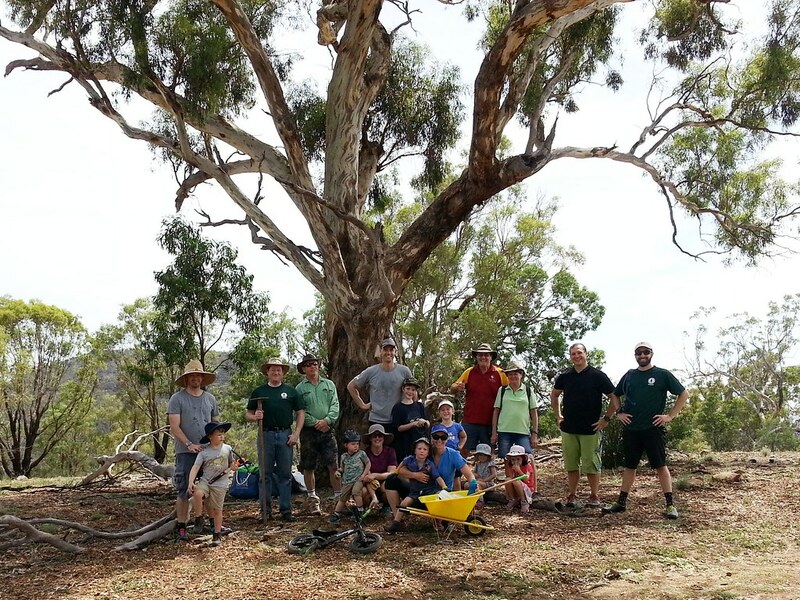 Join the Friends of Mount Majura (FoMM) to celebrate National Tree Day 2017 on Sunday 30 July and help with the planting of local trees, shrubs and flowering ground-cover plants. 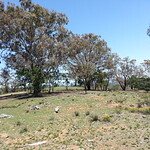 This will be our 5th National Tree Day community planting in the nature park behind (east of) “The Fair” and the 10th consecutive mass planting of trees, shrubs and wildflowers in the Mt Majura nature reserve on a National Tree Day. 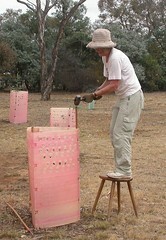 The planting holes will be dug prior to the event and water delivered so all we need are volunteers to help with planting, watering and mulching the seedlings. Please come early for a demonstration on “How to plant”. Access park entrance intersection Tay St and Ian Nicol St close to the volunteer registration point or via nature park entrance Antill St roughly opposite Carotel for a 5-10 minutes walk to the planting site. 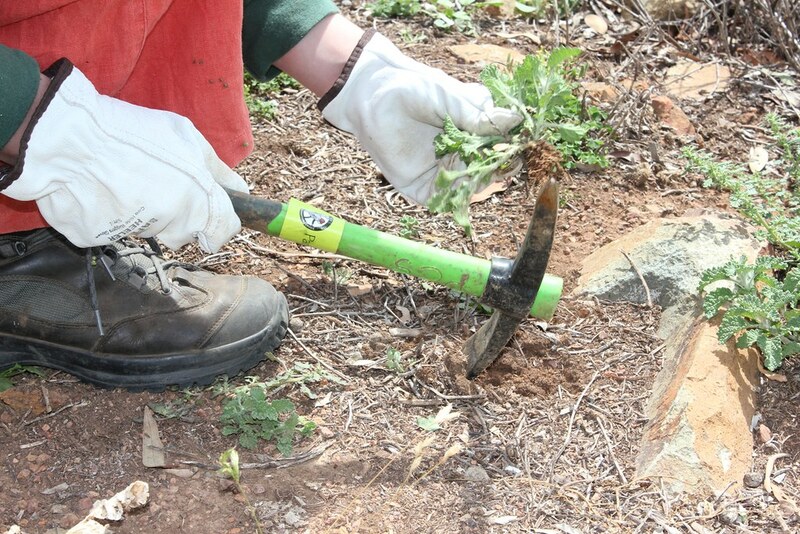 What to bring: Bucket, trowel or small mattock if you have one; Important: please label your items with your phone number so that we can reunite any left-behinds with the owner. 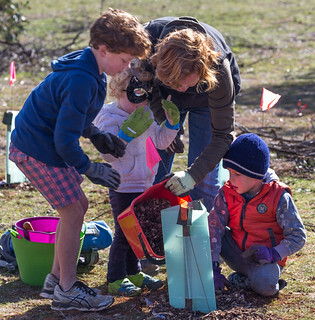 National Tree Day is held annually by Planet Ark which runs the Australian wide project to encourage mass tree plantings and to communicate the merit of trees. Bring: Your own lunch, sun protection, closed shoes, long sleeve and pants; tea, coffee and biscuits will be provided. 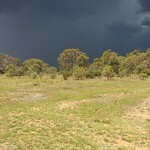 Mt Majura and Mt Ainslie (left and centre) are significant places to the Ngunawal people (Photo: S. Bittinger). 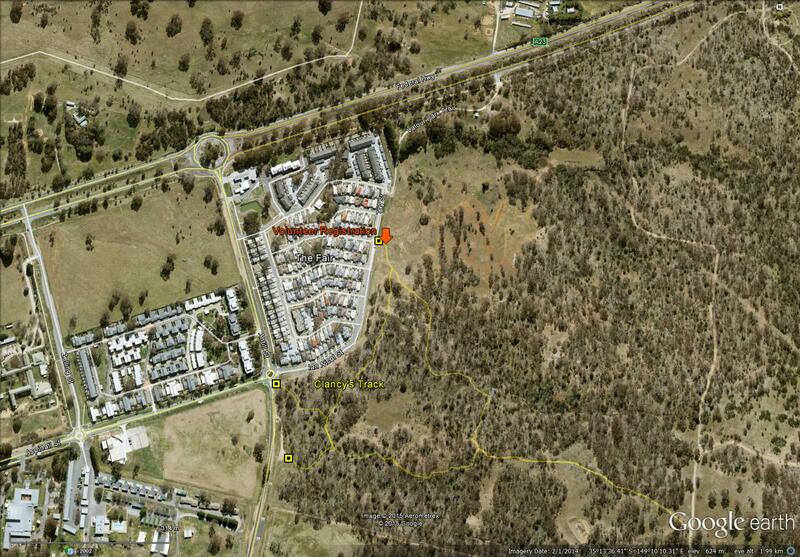 Where: Mt Ainslie; meet at Canning Street access to Mt Ainslie. 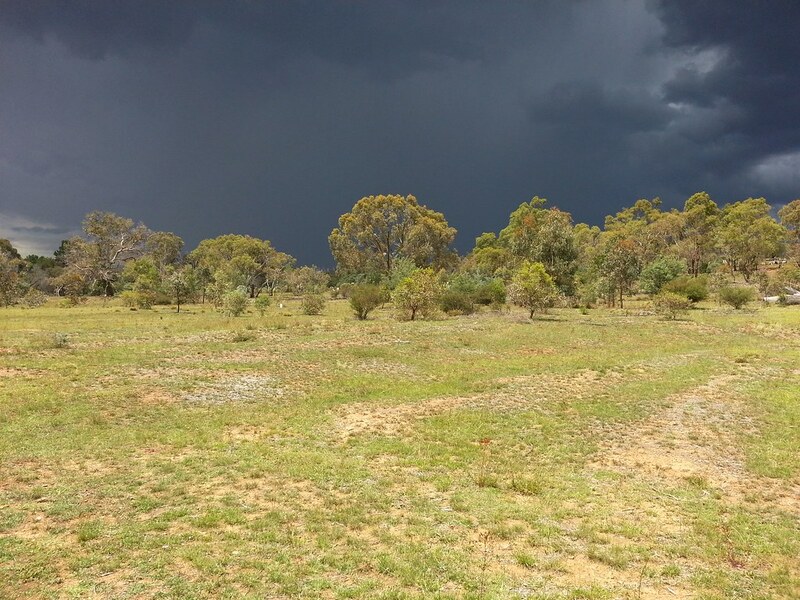 Karen will discuss Ngunawal cultural sensitivities associated with a women’s cultural place and what to be aware and watch for when conducting Landcare and Parkcare activities. 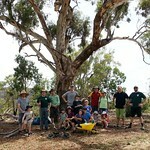 Join the Friends of Mt Majura spring working party at the Fair. 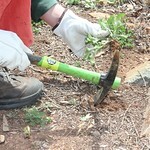 What: Hand digging weeds, watering plants, (more) mulching and other maintenance jobs. Wear and Bring: long pants and sleeves, hat, enclosed shoes, sunscreen, gloves – if you have them, and drinking water; morning tea provided. 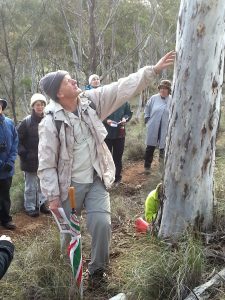 Walk through the woodlands with bird enthusiast Peter Miller to spot, observe, listen to, and learn about the amazing variety of Mt Majura’s birds in Spring. 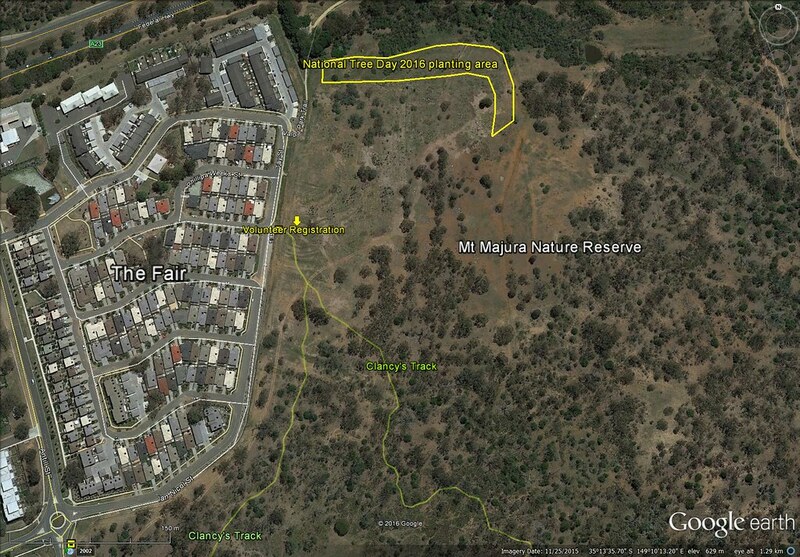 Bring Gold Coin donation for a Mt Majura bird species list. Recommended: Binoculars, a bird guide or app* if you have them. *See for instance Michael Morcombe & David Stewart apps for Android and Apple. Bird walk poster for upload. 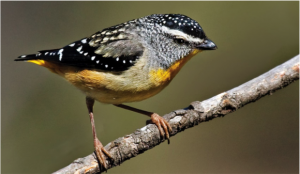 With over two hundred recorded species, Canberra and the surrounding region has the richest bird life of any Australian capital city. 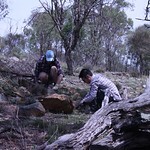 Roughly half – 112 species – have been recorded on Mt Majura. If you have an interest in our feathered friends (and some foes) check out the website of the Canberra Ornithologists Group (COG) which has heaps of information on the distribution, seasonal occurrence and breeding of birds, brilliant photographs taken by COG members and even records of calls of several bird species.